It is our pleasure to welcome you to the 5th International Scientific Conference: Exercise and Quality of Life 2019: From Active Childhood to Healthy Aging. The Conference will take place in the beautiful city of Novi Sad, Serbia, from April 11-13, 2019. Novi Sad, the European Capital of Culture 2021 and European Youth Capital 2019, is the city of culture, science, innovation, sports, and youth. 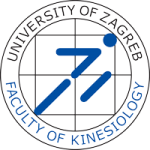 The Faculty of Sport and Physical Education warmly welcomes researchers from different scientific fields in order to enhance better understanding of the relationship between physical activity and quality of life. EQOL 2019 encompasses a rich scientific program of oral and poster presentations and invited lectures, with leading international experts presenting cutting-edge knowledge in their area of expertise. Exercise and Quality of Life 2019: From Active Childhood to Healthy Aging aims to provide the latest scientific and professional insights, present recent findings and share experiences in exercise and health sciences, with a special emphasis given to the importance of lifelong exercise and the quality of life, highlighting biological, medical and psychosocial factors of quality of life. The Conference covers wide range of topics, including quality of life research, exercise and sport science, physical education, medicine, rehabilitation, healthy aging, psychology, biomechanics and motor control. The conference abstracts will be published in BMC Sports Science, Medicine and Rehabilitation, a peer-reviewed journal from Springer Nature group, with an annual readership of 230,850 visitors to the online journal. 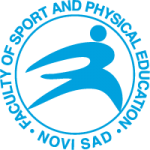 BMC Sports Science, Medicine and Rehabilitation is abstracted/indexed in PubMed Central, SCOPUS, Google Scholar, CNKI, DOAJ, EBSCO Discovery Service, EBSCO Rehabilitation & Sports Medicine Source, EBSCO SPORTDiscus, EBSCO TOC Premier, Emerging Sources Citation Index, Health Reference Center Academic, OCLC, ProQuest – Summon.